If a car can run on a lithium-ion battery, why can’t the same technology be applied to a city block? 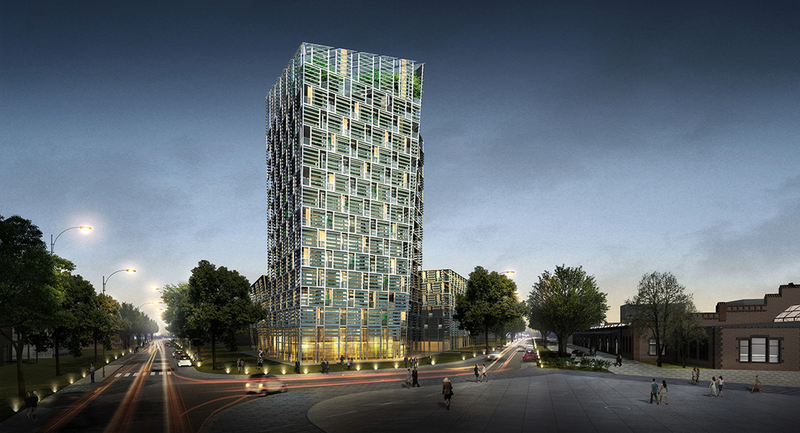 This is the conceptual basis of the Smart Green Tower planned for Freiburg im Breisgau in Germany. 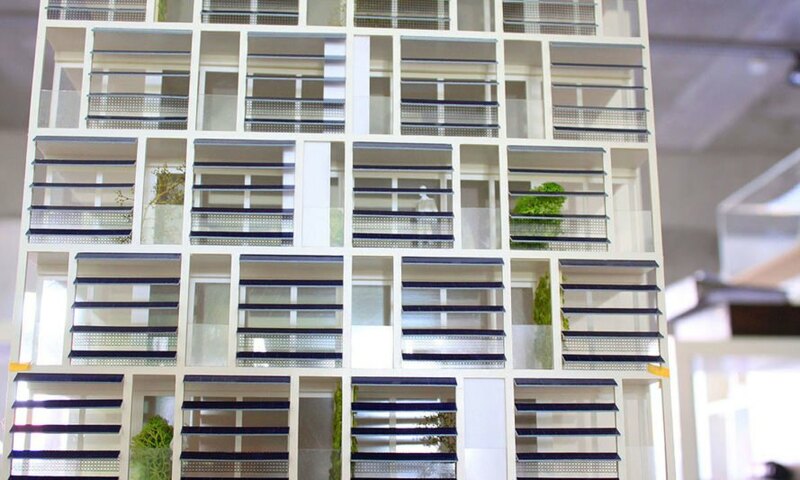 Frey Architekten teamed up with Siemens and Fraunhofer Institute for Solar Energy Systems (ISE) to develop a battery-operated residential building which will be powered entirely by the sun. The 16-story Smart Green Tower, topped with a beautiful sky garden, will feature high performance PV panels optimized for low light conditions, as well as an innovative interconnection system of the sockets distributed along the façade, and a 0.5 MWh energy storage in the form of a lithium-ion battery. The battery will be enhanced by vanadium redox flow batteries, which will help link the building and the district. Instead of using standard alternating current (AC) transmission and distribution of electric energy, the team opted for direct current (DC) which will be converted and reconverted in the battery, and then distributed throughout the building. Excess energy will power the neighboring buildings, bringing sustainability not only to the residents of the Smart Green Tower, but to a wider community of city dwellers.